Navesink.Net: Congratulations Daniel Chadwick on your Eagle! Congratulations Daniel Chadwick on your Eagle! 10-Chadwick-3212, originally uploaded by Kadath. 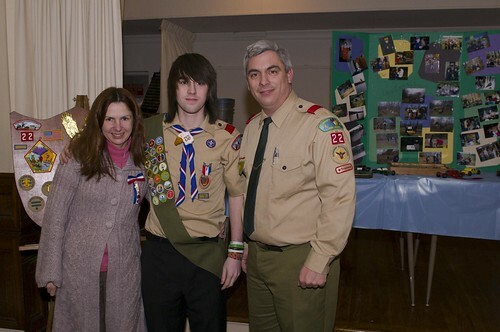 Troop 22's latest Eagle celebrated his award today, congrats Dan! Remember you are never an ex-Eagle, you are Eagle for life! Congrats Major Kareem Williams on his new post!